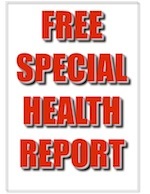 You Are Here: Home » Conditions » What Are the Symptoms and Treatment for Lyme Disease? What Are the Symptoms and Treatment for Lyme Disease? For those of us living in the Northwest New Jersey and Northeast Pennsylvania areas it’s time to stretch our legs, get out into the sunshine, and enjoy this beautiful spring time weather. It is also very important to know that, May is Lyme Disease Awareness Month. Lyme Disease is approaching epidemic proportions, increasing rapidly every year and now reported in every state as well as in Canada. 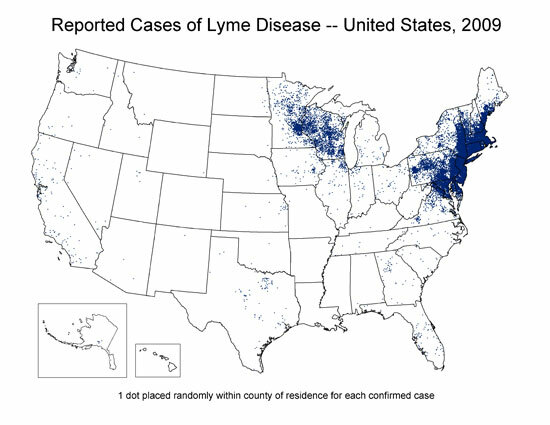 As you can see on the CDC map I’ve included below that New Jersey and Pennsylvania are some of the most Lyme endemic states in the country and that New Jerseyans and Pennsylvanians are at significant risk for exposure to Lyme Disease according to CDC reporting statistics. However, Lyme Disease is difficult to diagnose and is often misdiagnosed as other conditions which means the actual incidence of infection is much higher than reported by the CDC. Lyme disease is an infection caused by Borrelia burgdorferi, a type of bacterium called a spirochete (spy-ro-keet) that is carried by deer ticks. 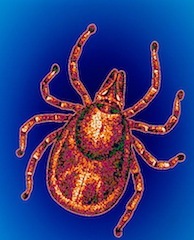 An infected tick can transmit the spirochete to the humans and animals it bites. Untreated, the bacteria travels through the bloodstream, establishes itself in various tissues, and can cause a number of symptoms, some of which are severe. Lyme disease manifests itself as a multi-system inflammatory disease that affects the skin in its early stage and spreads to the joints, nervous system and, to a lesser extent, other organ systems in its later stages. If diagnosed and treated early with antibiotics, Lyme disease is almost always readily cured. Generally, Lyme disease in its later stages can also be treated effectively, but because the rate of disease progression and individual response to treatment varies from one person to the next, some who become infected can have symptoms that linger for months or even years even after following treatment. In rare instances, Lyme disease causes permanent damage. The first symptom is usually an expanding rash (called erythema migrans, or EM, in medical terms) which is thought to occur in 80% to 90% of all Lyme disease cases. Ticks will attach anywhere on the body, but prefer body creases such as the armpit, groin, back of the knee, and nape of the neck; rashes will therefore often appear in (but are not restricted to) these areas. Please note that multiple rashes may, in some cases, appear elsewhere on the body some time after the initial rash, or, in a few cases, in the absence of an initial rash. Around the time the rash appears, other symptoms such as joint pains, chills, fever, and fatigue are common, but they may not seem serious enough to require medical attention. These symptoms may be brief, only to recur as a broader spectrum of symptoms as the disease progresses. As the Lyme disease spirochete continues spreading through the body, a number of other symptoms including severe fatigue, a stiff, aching neck, and peripheral nervous system (PNS) involvement such as tingling or numbness in the extremities or facial palsy (paralysis) can occur. The more severe, potentially debilitating symptoms of later-stage Lyme disease may occur weeks, months, or, in a few cases, years after a tick bite. These can include severe headaches, painful arthritis and swelling of joints, cardiac abnormalities, and central nervous system (CNS) involvement leading to cognitive (mental) disorders. Early treatment of Lyme disease (within the first few weeks after initial infection) is straightforward and almost always results in a full cure. Treatment begun after the first three weeks will also likely provide a cure, but the cure rate decreases the longer treatment is delayed. If you or someone you know is suffering from Lyme Disease especially if you or they are not responding to conventional antibiotic treatment please consider chiropractic care. Chiropractic care removes mechanical stress and interference to your nervous system by detecting and correcting spinal mis-alignments called subluxations that puts pressure on your nerves. 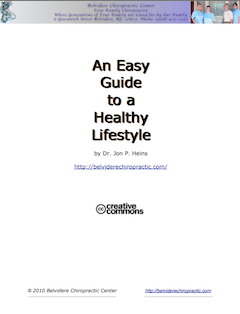 Removing this stress and pressure allows your body to function at it’s optimal state. This boosts your immune system’s functioning which can ease the symptoms associated with Lyme disease and can help you recover quicker.